Jack White is reuniting The Raconteurs this year for their long-awaited comeback at Third Man Records’ 10-year anniversary show. 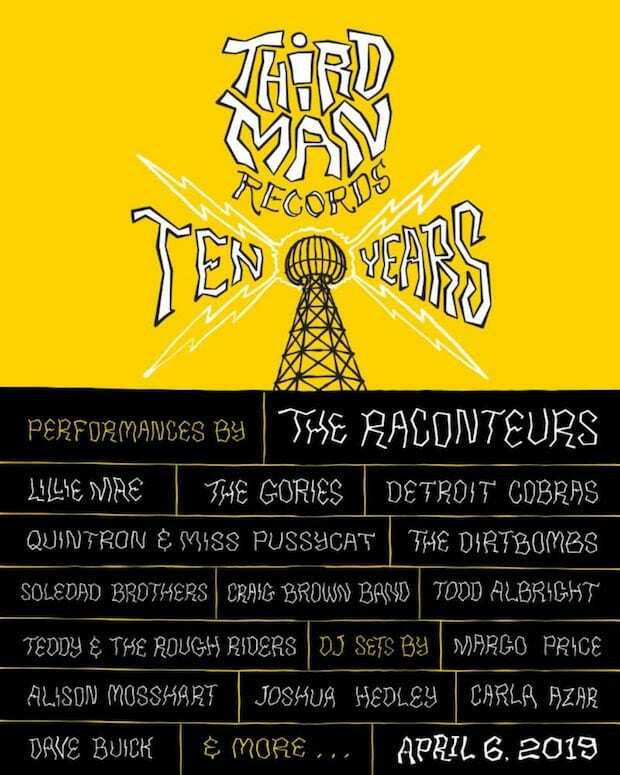 White’s Third Man Records is celebrating their tenth year in Nashville, and to honor the feat, The Raconteurs’ will headline their first show in eight years. The gig, set to take place on April 6, will feature performances from artists Lillie Mae, The Gories, Craig Brown Band, and The Dirtbombs, along with sets from Margo Price, The Dead Weather’s Alison Mosshard, Joshua Hedley, and Carla Azar, among others.